Haha, also don’t forget to aerate in the fall. HER: HE'S PROBABLY THINKING ABOUT OTHER WOMEN. 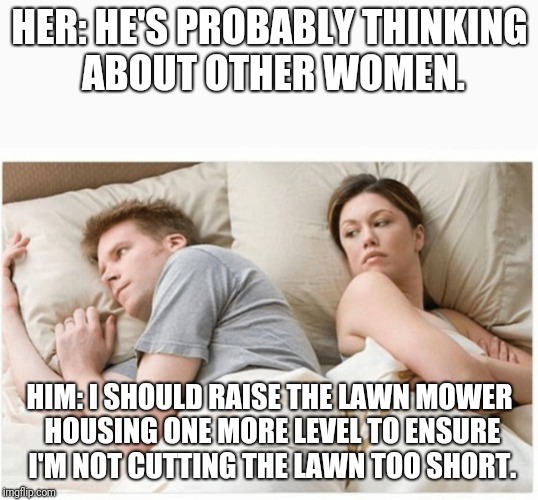 HIM: I SHOULD RAISE THE LAWN MOWER HOUSING ONE MORE LEVEL TO ENSURE I'M NOT CUTTING THE LAWN TOO SHORT.